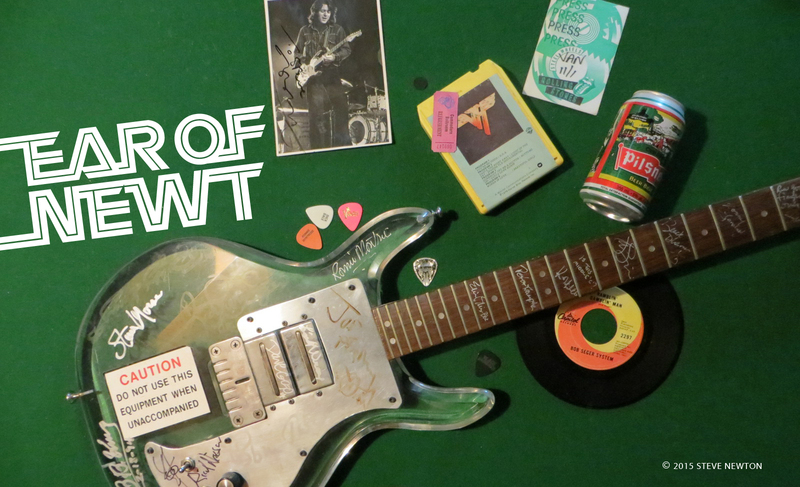 Today the legendary hard-rockers announced that they are releasing two more deluxe editions, and these are the ones that really destroy all other boxed sets. At least until that Physical Graffiti boxed set comes along. 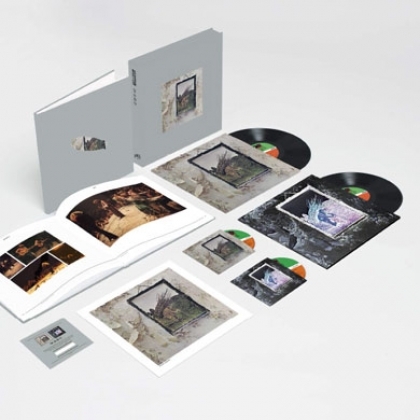 On October 28 deluxe editions of Led Zeppelin IV (the one with “Stairway to Heaven”) and Houses of the Holy will be released, newly remastered by Jimmy Page, and accompanied by a second disc of companion audio featuring previously unreleased tracks. The album will be available in all matter of formats, including the single CD, deluxe edition 2 CD, single LP, deluxe edition 2 LP, digital download, and the one I hope to get a free review copy of: the super-deluxe boxed set. 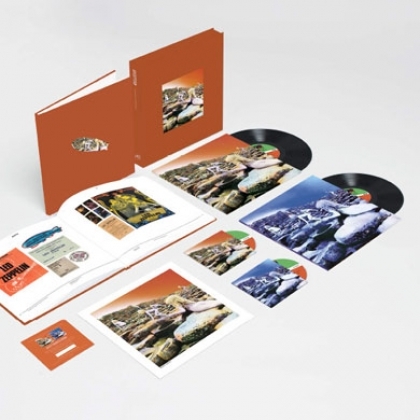 The SDBS includes (deep breath) the remastered album on CD in vinyl replica sleeve, companion audio on CD in card wallet featuring new alternate cover art, remastered album on 180-gram vinyl in a sleeve replicating first pressing, companion audio on 180-gram vinyl in a sleeve with new alternate cover art, high-def audio download card of all content at 96kHz/24 bit, and a hardcover 80-page book filled with rare and previously unseen photos and memorabilia. Told you it would destroy all other boxed sets until the Physical Graffiti one comes out. 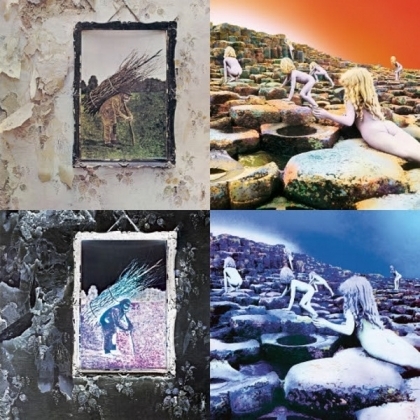 The Led Zeppelin IV deluxe edition includes unreleased versions of every song heard on the original album including alternate mixes of “Misty Mountain Hop” and “Four Sticks”, mixes of “The Battle Of Evermore” and “Going To California” heavy with guitar and mandolin, and the fabled, alternate version “Stairway To Heaven”, mixed at the Sunset Sound Studio in Los Angeles which lets fans hear one of the most revered songs of all time as they have never heard it before. The seven unreleased tracks on the companion audio disc for Houses Of The Holy include rough and working mixes for “The Ocean” and “Dancing Days” that reveal a deeper look inside the recording sessions of these classic songs. Other standout recordings include the guitar mix backing track for “Over The Hills And Far Away” and a version of “The Rain Song” without piano. ← Will Mad Max: Fury Road’s Tom Hardy be a better Max than Mel?